Macro Bicego's contemporary Paradise Mix Collection brings together playful semi precious stones in exclusive drop cut designs. With hand engraved 18ct gold beads for a wonderful contrast, this bracelet lifts the look of every outfit. 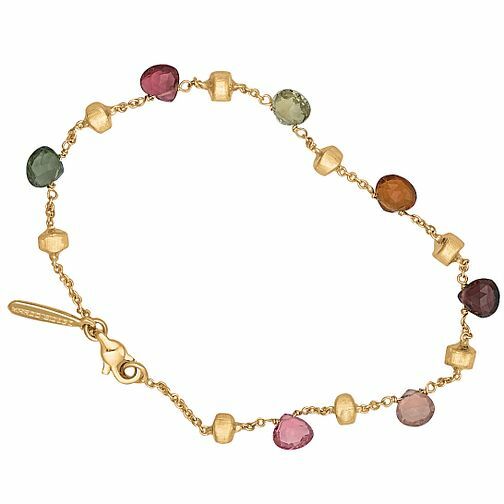 Marco Bicego 18ct yellow gold multi stone bracelet is rated 5.0 out of 5 by 1. Rated 5 out of 5 by Anonymous from Nice I love this product, true to discription, and very beautiful.